Below are properties that Teraprom has either sold or are pending sale under a contract-for-deed. Nice lot in the heart of Rock Island. Great location for a smaller home or even a large garden. SALE PENDING (Under Contract for Deed)! 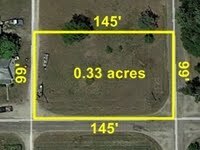 Large 2 Acre Surveyed Lot. Secluded lot with large mature trees. Surveyed with all boundary lines all marked. Click here for more info about the shop! 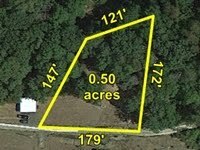 A great lot located in the countryside! Lots in the country are extremely difficult to find. Lots in small towns are much easier to find in comparison. Live your life in a quiet setting or use this as a camping spot away from home. To all those hunters out there, this could be a fantastic place to build a hunting cabin or park your camper/RV to use this as a base camp. 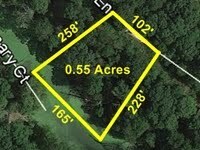 This is a nice 0.68 acre lot in the small town of Vermont, Illinois full of mature trees which surround the property, creating a relaxed scenic atmosphere with plenty of privacy. It could be made into a wonderful home or cabin site for someone looking to live in a small town environment or a nice investment property. 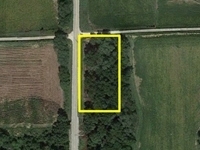 Location: Country Lot near Avon, IL! 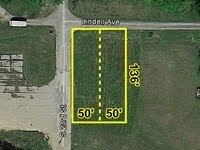 A super nice large and flat 240' x 150' lot in Avon, IL with an excellent view and highway access. It is located on the northern edge of Avon, overlooking the scenic farm fields to the north. With this lot, you get the convenience of small town life with the feel of living in the countryside--it's the best of both worlds! 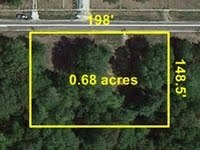 This would be a fantastic lot on which to build the dream home you've always wanted with a garden and a big back yard! It could also be a great investment property if you wanted to hold onto it for a while and then re-sell it. 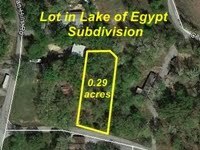 This is an outstanding lot located in the beautiful Egyptian Hills subdivision on the Lake of Egypt. The Lake of Egypt is one of the largest and nicest lakes in Southern Illinois with a tremendous sense of community and gorgeous natural beauty, not to mention the outstanding fishing and boating opportunities that come with living in a lake community. Visit the property link below to learn more and to see pictures of the lot and surrounding area. This property could best be described as a "fixer upper". It consists of a good sized lot with excellent street access and very nice mature trees in the yard. A railroad forms the eastern boundary of the property. There is an old abandoned house on the property which is in poor condition, with the roof leaking and even missing in some spots. A buyer of the property may wish to repair the existing structure or replace it with a new one. This property could be a good long term investment for the right type of buyer who is willing to put some elbow grease into the property! This is an awesome large flat grassy lot located just outside the city limits of Monmouth! The location of this property is amazing. It offers the feel of living in the country with the convenience of a large town right next door. In addition, this property borders Monmouth Park, which includes Gibson Woods Golf Course, so there will be no short of recreation opportunities. There are a number of upscale houses in the nearby region, and the development of this area is continuing to expand. Therefore this lot could be a fantastic place to build a home for yourself or simply to hold and maintain as a long term investment. 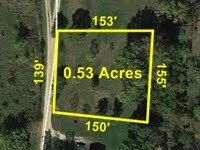 This is a nice flat lot in Augusta, IL at a very affordable price! This property would make a great building lot for a home with a deep backyard. You don't find lots at this price very often so get it while you still can. Augusta is a great small town in the countryside that is extremely family friendly. This would also be a fantastic site for a small hunting cabin, in close proximity to some of the best hunting in the country! This is a 6.30 acre strip of abandoned railroad land in Schuyler County, Illinois, northeast of Ray which was formerly part of the Burlington Northern and Santa Fe Railway Company's (formerly Chicago, Burlington & Quincy Railroad Corporation) branch line from Vermont to Rushville, Illinois. The property is 100 feet wide by 2,823 feet long. It is comprised of early growth wooded acreage situated in predominantly agricultural region, making it a great travel corridor and shelter for deer and other wildlife. The old railroad bed on the property is still in tact and would make a great road, ATV trail or horse trail. This property represents our first investment in the famed Pike County of west-central Illinois, an area noted nationwide for its premier whitetail deer hunting. This property is approximately 1.1 acres in size and is conveniently located at the intersection of a highway and a gravel county road. The property is part of a large ravine, which does limit the potential use of this property and makes it unsuitable to drive on. Therefore, if you wanted this property for camping purposes, you would need to park an RV or camper along the north edge of this property, adjacent to the gravel county road. This could be a fantastic starter property for a deer hunter! Another plus of this property is that it is loaded with Black Locust. This is a 6.48 acre strip of abandoned railroad land in Fulton County, Illinois, south of Vermont which was formerly part of the Burlington Northern and Santa Fe Railway Company's (formerly Chicago, Burlington & Quincy Railroad Corporation) branch line from Vermont to Rushville, Illinois. The property is 100 feet wide by 2,823 feet long. It is comprised of early growth wooded acreage situated in predominantly agricultural region, making it a great travel corridor and shelter for deer and other wildlife. The old railroad bed on the property is still in tact and would make a great road, ATV trail or horse trail. Click here for more about Hale Ridge Road Farm! 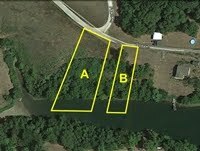 These beautiful lake lots stand out as some of the best we have here at Teraprom Land Company. They would be fantastic for recreational use only or as permanent or secondary home sites. A small lakehouse or cabin would fit into the surroundings quite well in this quiet, sparsely populated residential community. The lake these lots sit on is 2 acres in size and have two other houses with frontage on its waters. The lake is the perfect size--small enough to provide an intimate feeling yet large enough for small boats and fishing. The properties are currently being surveyed which means that a buyer will have an accurate description of the size and boundaries of these lots! 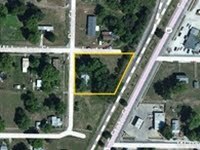 Price: Tract A: $12,995; Tract B: $5,995 - SALE PENDING (Under Contract for Deed)! 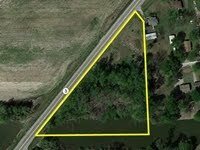 This 0.61 acre lot is located in the small village of Browning, Illinois (population: 130) and is only a 1/4 mile from the Illinois River. This parcel is as flat as a table top and is covered with mature Cottonwood and Silver Maple timber. This lot is in the floodplain of the Illinois River, is subject to annual flooding and is not suitable for most permanent structures unless they are on stilts. This lot has great access and is perfect for tent camping and RV'ing during the summer and fall months when water levels are low. Cox Hollow Farm is a beautiful 47 acre property set in the bluffs of the Illinois River near Browning, Illinois. It is mostly covered by high quality hardwood forest which features mast producing trees like oak and hickory. This is an excellent hunting property which boasts first class whitetail deer hunting, turkey hunting and small game of all kinds. This property also has some spectacular views of the Sanganois State Fish and Wildlife Area and would be an excellent home or cabin site. Don't see what you're looking for? Fill out this brief survey (takes no more than 30 seconds).